Synchro Shuttle Transmission (XU5055 models) - makes changing direction easier than competitive non-shuttle gear models. Fully synchronized 16 forward /16 reverse gear transmission provides more operating speeds and easier, smoother shifting than others in its class for superior control, precision and safe operations for virtually any application. 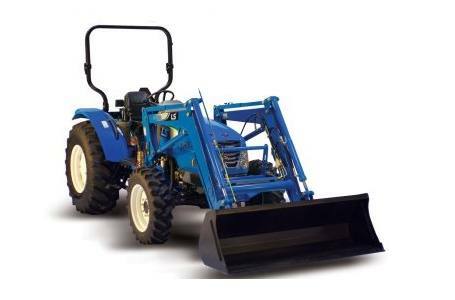 Optional Quick Attach, Self-Leveling Front End Loader with Skid Steer Compatible Bucket - easy to take off or attach loader and easily change loader attachments. With 3,065 lbs. of lift capacity it outperforms others in its class. Grill guard comes standard with loader rather than an option like others in its class. Height to top of ROPS with Ag tires: 103"